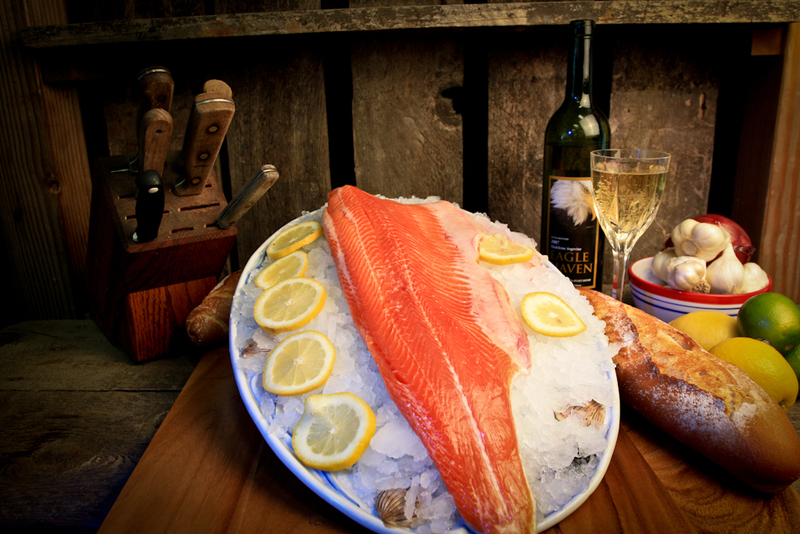 One of Skagit’s own farm raised options is Steelhead raised in the cold waters of the Columbia River in Washington state. These Steelhead are fed an all natural diet and no hormones or synthetic feeds are ever used. Steelhead flesh ranges in color from ivory to brilliant red and has a mild flavor similar to trout. Steelhead can be substituted in many recipes for salmon when available. Like salmon, this fish has a sweet and buttery texture and dark pink in color when cooked. 2. Arrange the trout fillets on a large piece of aluminum foil. Whisk together the butter, lemon juice, paprika, and cayenne pepper; brush the mixture onto the fillets.